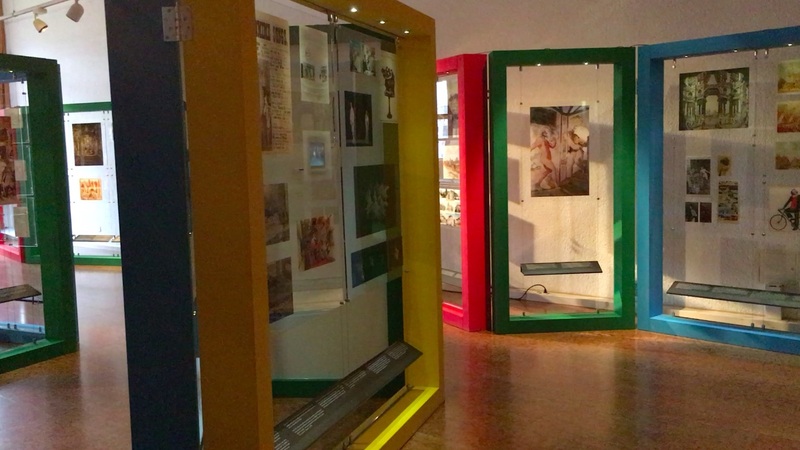 Six theatre museums from six different European countries jointly created this touring exhibition that was on show from 2015 to 2018 in Warsaw, Copenhagen, Vienna, Munich, Ljubljana, Hanau, London, and Bellinzona. With more than 250 exhibits, the exhibition illustrates how the history of Europe from antiquity to the present is mirrored in the performances and the theatre buildings of the different eras. It is the first time that such a group of museums created an exhibition as team, each proposing well-chosen exhibits from its own and other collection(s) and discussing all proposals with the colleagues from the partner museums. The result is also a panorama of European theatre collections. Copenhagen (Denmark): Theatre Museum in the Court Theatre. Munich (Germany): German Theatre Museum. Ljubljana (Slovenia): Ministery of Culture. Hanau (Germany): Old Town Hall. London (Great Britain): Victoria and Albert Museum. The exhibition The history of Europe - told by its theatres is part of a larger European project, the European Route of Historic Theatres. For this project, 19 partners from 14 countries joined forces in the period 2012-2017 to make the still existing historic theatres in Europe better known to the public, supported by the Culture Programme of the European Union. now presented in a freely accessible, comprehensive online database. that leads across Europe: the European Route of Historic Theatres.